Welcome To Drake Painting LLC! Painting Estimates directly from the Paint Contractor! There are No Fees, Contracts or Obligation requirements to receive a home exterior or interior estimate from us. 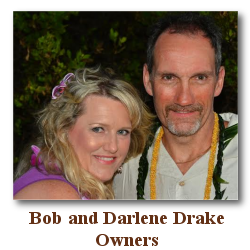 Drake Painting is family owned and operated, and one of the Best Painting Contractors in the Seattle Washington area. Our family owned business is known as one of the most reputable painting, and home improvement companies on the Eastside. As a professional painter for the last 40 plus years, we guarantee our projects. A fresh coat of paint for your interior walls and trim can make your house look new again. No job is too small, not even one wall! Custom color matching available. We do Interior and Exterior, Upper end homes, Condos, Apartments, Single family homes, etc. Home remodels, and New construction. I work with contractors as a subcontractor, Real Estate Agents, Property Management firms, anyone whom buys homes and wants to fix them up and turn over for a profit, etc. © 2019 Drake Painting Carnation. All Rights Reserved.